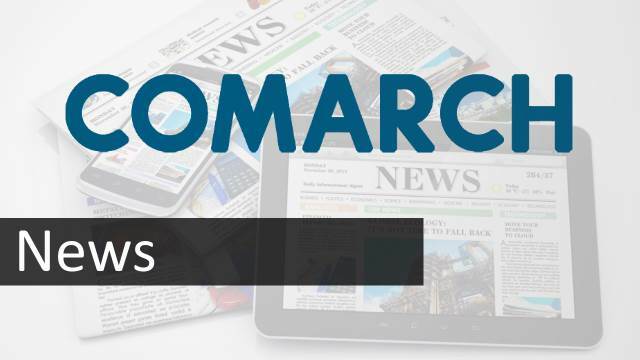 Comarch, the official vendor of the Next Generation Service Assurance and Service Quality Management platform for Vodafone Germany, completes a new release of the project with its Comarch GIS Platform Suite. The fifth release of the Vodafone Germany-Comarch project, first launched in 2009, brings major changes in the project scope and enables further improvements to the experience of Vodafone’s customers. The new extensions to the system provide the operator with tangible business benefits – they will increase user experience significantly and have a major impact on internal Network Operations Center processes. The latest system developments will allow the root cause of a problem to be identified faster, and analysis to be improved. This will translate directly into better resolution times of all detected failures, and therefore to greater customer satisfaction. In 2009, Vodafone decided to follow a strategy aimed at increasing its business customer market share and better meeting the demands of enterprise customers, by launching a Next Generation Service Assurance OSS consolidation and transition program with Comarch. Comarch Next Generation Service Assurance has allowed Vodafone to transform traditional network-centric fault management into a solution focused on customer service assurance. The system enhanced the pro-activeness of customer service by enabling early detection of network failures, shortening problem resolution times, and allowing customer service impact to be thoroughly predicted and calculated. The project, initially addressed to Vodafone Germany, has been extended and now also embraces Vodafone structures in the Czech Republic and the Netherlands. By replacing its legacy Fault & Service Management system, Vodafone Germany has reduced capital expenditure (CAPEX) by 47% and operational expenditure (OPEX) by 68%. The transformation also guarantees to lower the cost of future OSS integrations by at least 30%. Monitoring the network in the context of Comarch Service Quality Management provides capabilities to focus on customer satisfaction. The solution has now been completed, with the inclusion of an interface-rich Comarch GIS Platform suite allowing spatial data to be collected, processed, edited and deleted according to the INSPIRE directive, and enabling network services to be shared in the SOA model.